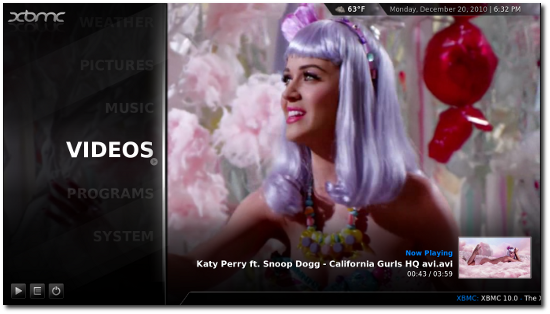 XBMC is a cross platform media center designed for HTPCs. It is completely open-source and runs on Linux, Windows and Mac OS X. 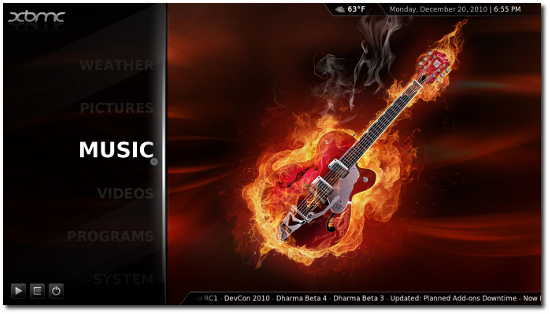 Two days back, XBMC 10.0, codenamed "Dharma" was released. The main improvements in Dharma is the support for add-ons. 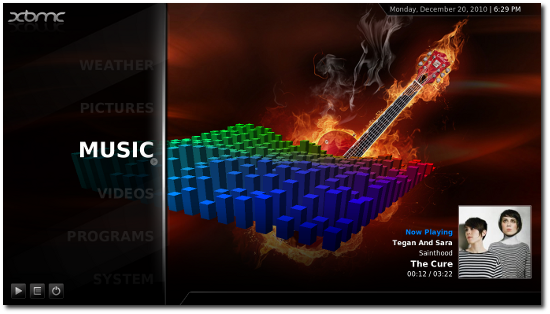 In the earlier releases installing new skins, plugins etc. was a real bother. With Dharma that has been changed. 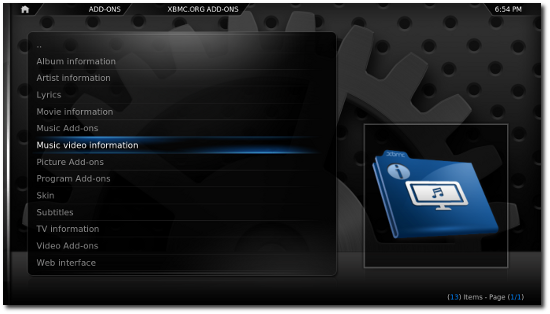 It now has a add-ons section from where users can install skins, plugins etc. Dharma also has a few improvements under the hood. 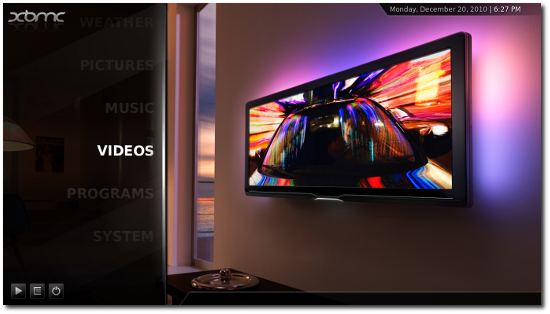 It now supports play back of WebM/VP8 files. The Windows version now supports hardware acceleration. 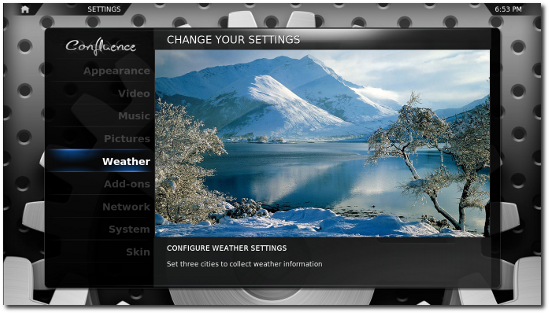 It is available for Jaunty and Hardy as well, but you have to add the PPAs manually. 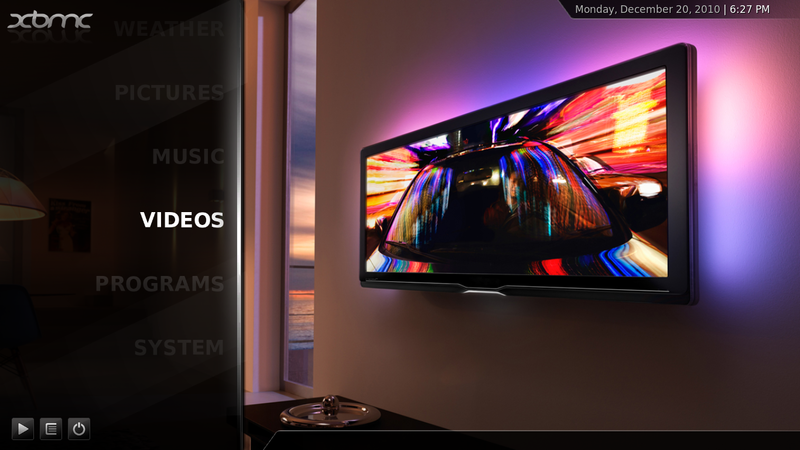 After installation, you can find it at Applications > Sound & Video > XBMC Media Center.